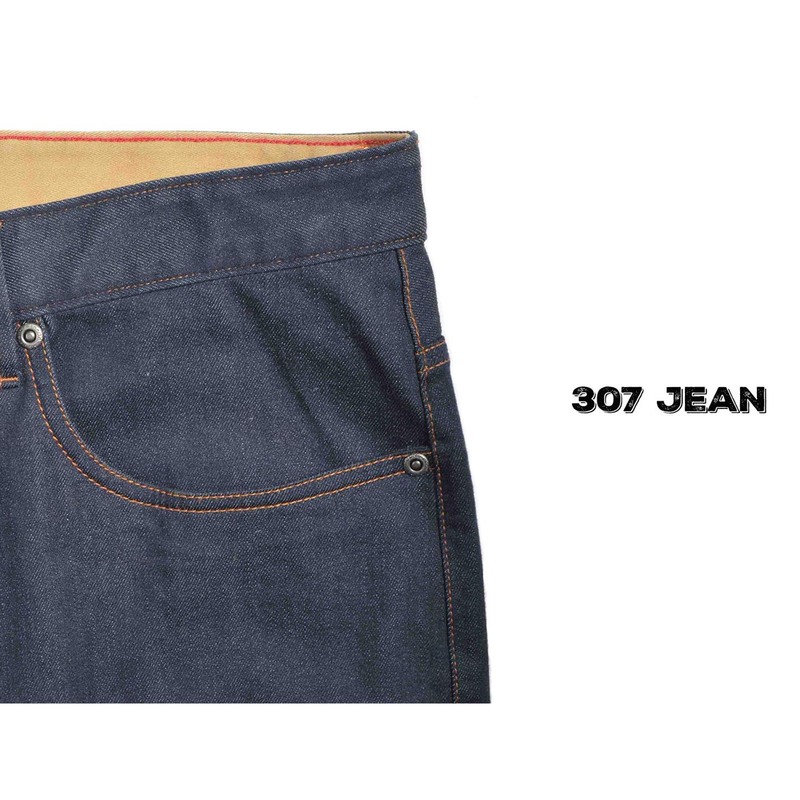 Made of organic stretch denim, the 307 means you don't have to sacrifice comfort for style. Reinforced stitching with enough stretch throughout to stand up to wear and tear. Subtle sanding on thighs and pockets for a smoother feel. All the guys in my family wear Mountain Khakis. They love the gusset, the thigh room, the durability and the quality. I give them as gifts and the LOVE ME!! I highly recommend them, they love the give in the fabric. Price is fair for the quality and durability. With heavy emphasis on comfort, this is one of the most comfortable pair of jeans I think I have ever owned, and I have owned past denim jeans from Mountain Khakis. I have been a devout Lucky Brand jeans guy until I tried these jeans. I can't say a bad thing about them other than I wish they made them in a boot cut. I may go back to Lucky when these ware out because of the way the fit over my boots. Otherwise these are great jeans comfortable and I get a lot of comments on how good they look. Just wish there was a boot cut option. I have probably worn a dozen different brands of jeans over the years and found all to be lacking in some way...mostly that they weren't that comfortable, especially in the crotch. I really never wanted another pair of denim pants again, but these have restored my faith in jeans! The slim tailored 32x30 feel great, are sized perfectly, look terrific and are exceptionally comfortable. They do seem a bit thinner/lighter than other jeans, so I'm not sure how they will hold up long term, but so far they're perfect, and being made of organic cotton makes them even better. Please just don't tinker with them, Mountain Khakis - you have a big winner here! Great quality jeans, sizing was just off for me. I had to send them back.